Image credit: by Nonki Azariah, Unsplash License. Crop properties improved by point mutation in microRNA binding domain of Q gene. 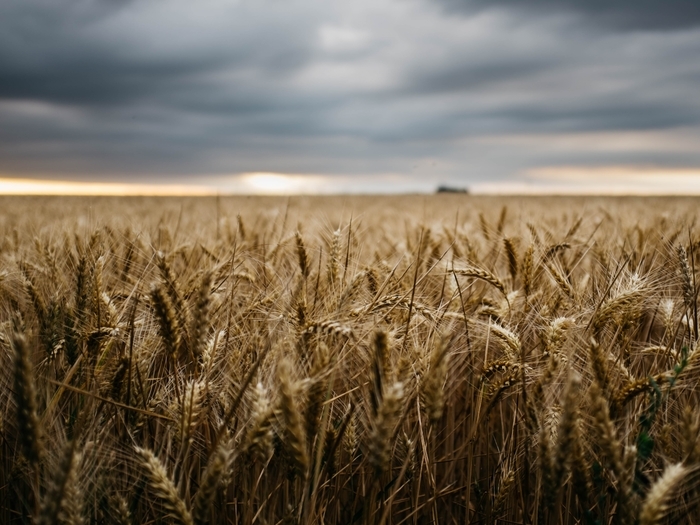 Humans have been cultivating wheat for ten thousand years, transforming it from an unruly grass into a useful crop highly adapted to our needs. But even after millennia, there are still new avenues for improving this staple food. A new type of common bread wheat (Triticum aestivum L.) was recently discovered that has properties that could improve the way it bakes, such as an elevated grain protein content. Researchers at Sichuan Agricultural University found that the new variety has a mutation in the gene Q, which was already identified as an important player in wheat’s domestication. Q’s expression is normally negatively regulated by an miRNA that binds and cleaves its mRNA, preventing it from being translated into protein. The new type of wheat has a point mutation in Q’s miRNA binding domain, which disrupts normal regulation. A good match between the miRNA sequence and its target sequence in the mRNA is needed for binding and, thus, cleavage, so this single mutation in the binding site can have major consequences. Xu et al. confirmed that the mutant plants do, in fact, overexpress Q for this very reason. Left: Bread made with the new wheat variety. Right: Bread made with wild-type wheat. These results are an important step toward a better grasp on how Q can be manipulated to improve one of the world’s most important crops. The mutant wheat has a substantial advantage over wild-type wheat; for example, the loaf volume of bread produced with the mutant wheat was 37% greater. This work is also significant because it adds another example to the growing list of miRNA functions in plants. These regulators are now thought to be critical for a huge variety of biological processes in plants, but for many miRNAs, we lack the type of mechanistic information this study provides.